Anthropologie has just released their Fall 2017 Home Decor Collection! So naturally, I'm all over it. I did some serious perusing and the collection is gorgeous!! Anthropologie is known for it's artistic patterns and bold colours but it doesn't matter what type of decor your prefer - neutrals, bold colours, sparkle, metallics, texture - they've got everything covered!! So you definitely will not have any issues finding pieces that you LOVE! Check out some of the beautiful fall pieces below! See anything you love?! Comment below! 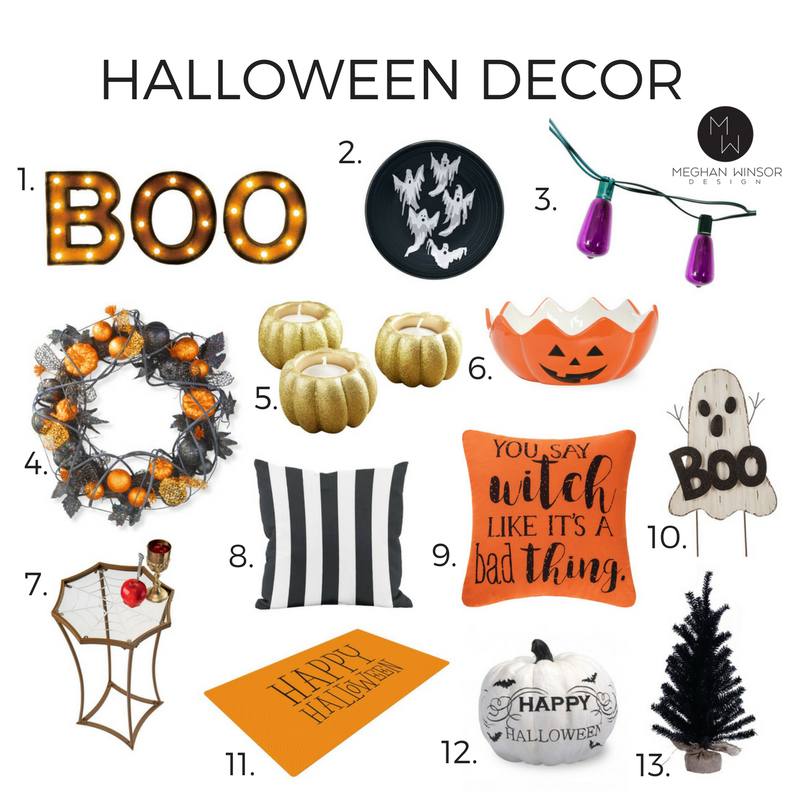 As Hallween is in less than 2 weeks I wanted to share some fun Halloween decor! I was on Wayfair's website (what else is new?) and I noticed they have fabulous Halloween decorations this year! I went through them all and picked out my favourites! Links to all the items are below! Some of the decor is selling out fast so if you're loving something, make sure you go to the website and check it out! Have any favorites? Check out Wayfair's website for all their Halloween decor! It's officially the first day of FALL! And I'm super stoked about it because I love fall. So to celebrate, we're going to get into some serious pillow talk today!! With fall comes my ridiculous need to change decor at my house. You're super surprised, I know. haha Throw pillows are some of my absolute favourite items to decorate with because they come in millions of variations, they're relatively inexpensive (depending on where you shop), and they have the ability to change up the look of the space without having to do very much! What I have managed to do over time is build up a small inventory of throw pillows at my house. So when the seasons change, I switch out the pillows in my living room to have them reflect the time of year! It gives the space a completely different look! DO NOT BUY MULTIPLE OF THE EXACT SAME PILLOW. 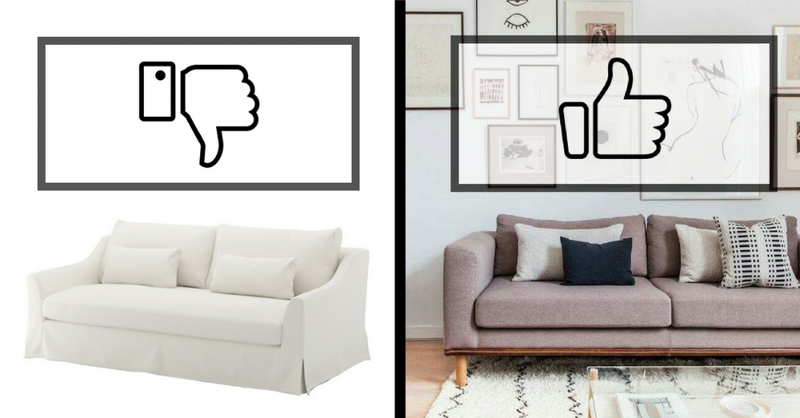 There's nothing worse than looking at a sofa that has the same pillow on it multiple times. It just makes any sofa looking boring and flat. If you want add life to a space, try to find 3 or 4 pillows that are all different patterns, textures, colours, etc but work together to create a beautiful look! Think BIG PICTURE! And if you're one of those people that freaks out when it comes to choosing items because you're afraid everything it's going to "match", please keep these words in your mind while you shop - IT DOESN'T HAVE TO MATCH. IT JUST HAS TO COMPLIMENT. I say these words to my clients all the time and I find once they stop worrying about matching everything and start thinking about trying to compliment, the design always comes together easier, faster, and better. Also, if you do plan to switch out pillows depending on the season, it's nice to have a few pillows that are neutral and can work for multiple times of the year. Whether you find a great neutral or a graphic pattern with a saying that you love - these items can be reused no matter what season it is! So I spent some time going through my favourite stores online and picked out my favourite fall throw pillows! You'll notice that there is a combination of everything - bold fall colours, graphic prints, patterns, neutrals, textures, etc all of which can be mixed and matched depending on what look you're going for! Links to all the pillow are below! I hope you enjoyed the blog! Let me know if you like this kind of post so I can put together some more for you! Or if you have suggestions of posts you'd like to see with all the holidays and seasons coming up, just write it down below! I love hearing from you!